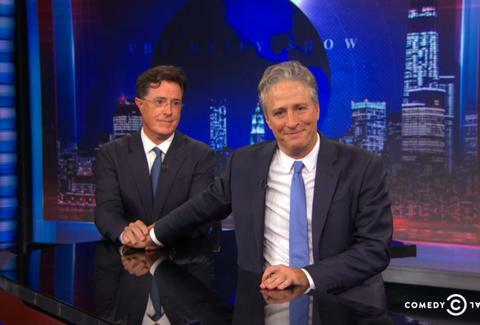 Stephen Colbert is the Sam to Jon Stewart's Frodo. Tony Merevick is Cities News Editor at Thrillist and maybe, possibly, allegedly teared up watching this. Send news tips to news@thrillist.com and follow him on Twitter @tonymerevick.